In 1964 Ferruccio Lamborghini started challenging Ferrari with its 350GT, but it was the arrival of the timeless Miura in 1966 which established the company as a major manufacturer for sports cars. The genesis of the project was first disclosed to public as a rolling chassis during the Torino Motor Show in 1965. 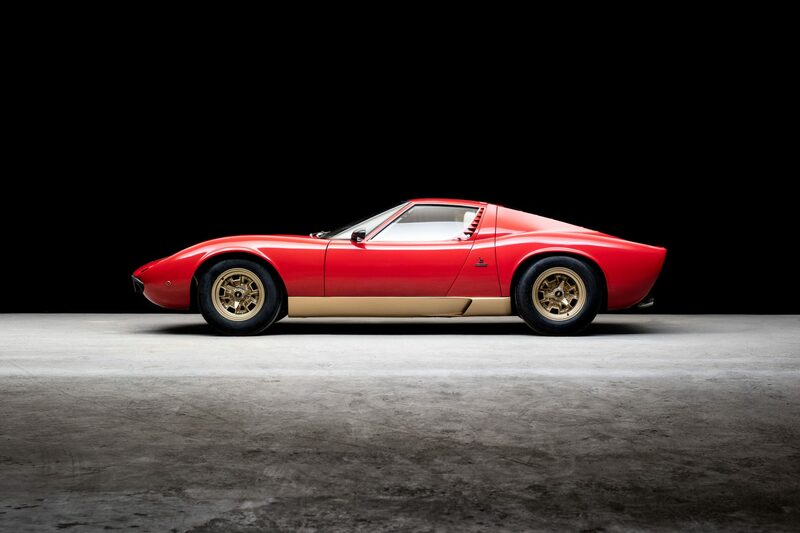 The following year, the Miura made a dramatic entrance at the Geneva Motor Show boasting a revolutionary coachwork drawn by young prodigy Marcello Gandini for Bertone. Mechanically, the car’s technical specification was breathtaking in its sophistication and complexity. Designed by Gianpaolo Dallara, the Miura carried its transversely mounted 350 bhp engine amidships in a box-section platform chassis. Very few cars managed to change the course of automotive history the way the Miura did. This legendary car set the automobile down a new course of style and performance. Chassis 3420. More information coming soon.